Here are two pretty ideas to use in your beach home (or make your humble abode look like one, if you happen to not have a beach home obviously). All that it takes are two buckets of paint, one white and one blue. 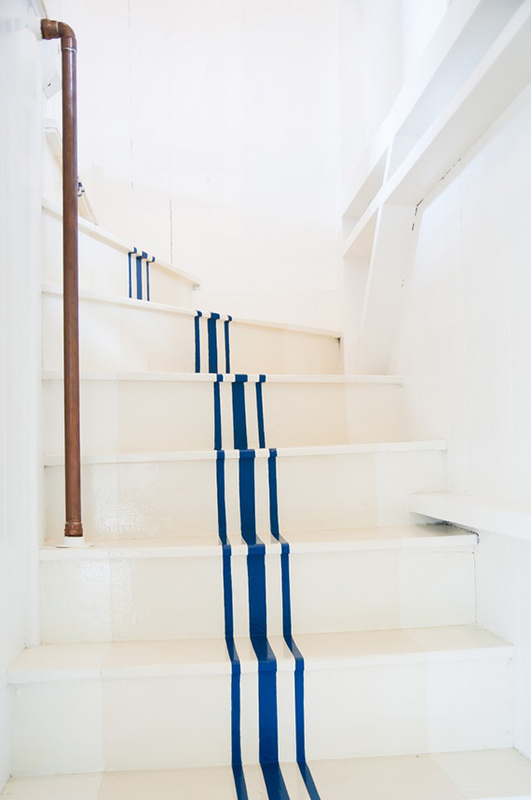 In the first case, the owners painted nautical stripes in the center of the staircase that follow along all its length. Looks so crisp and clean and actually feels like being on a boat. Check the brass pipe handrail detail. Awesome! The second photo is more playful and a bit of a surprise as it is coming from a house you wouldn't believe it is the same that sports this shabby coastal staircase (as a matter of fact, check out the rest of it here). The staircase is divided into two parts, originally with a door, and now with the distinction of the two contrasting shades. And once again, god is in the details; the art piece hung on the far wall adds up a million to the design. What are your thoughts on the above ideas? Which one is your favorite? 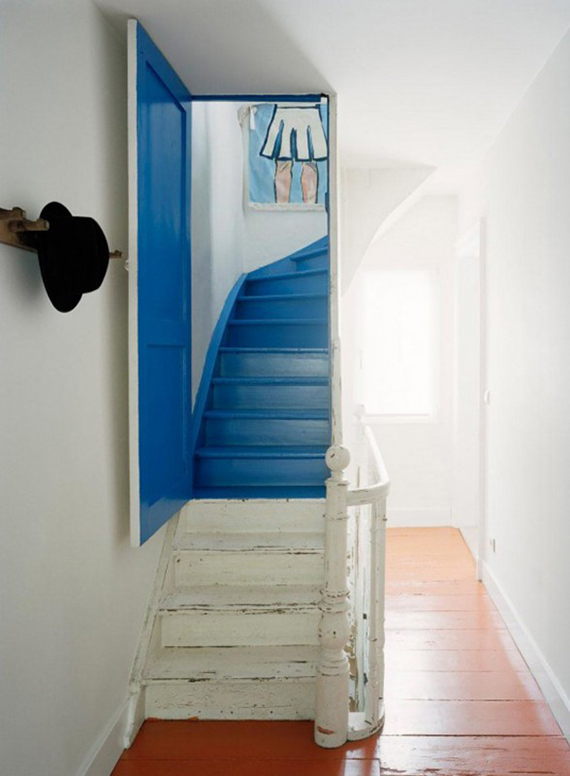 4 comments on "Nautical inspired staircases"